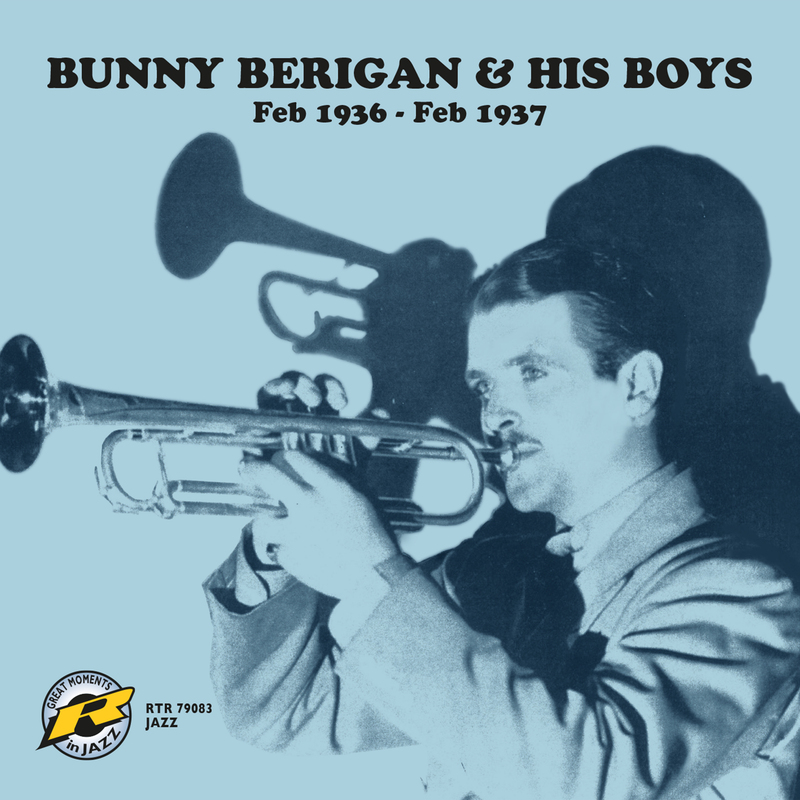 Bunny Berigan & His Boys, Feb 1936 - Feb 1937 is another great release by Retrieval Records, a division of Challenge Records. Retrieval is one of the finest examples of a record label offering some historical rereleases. It was Louis Armstrong who said, “Bunny was great, but had no business dying that young.” Bunny was born Rowland Bernard Berigan, in Calumet, Wisconsin, on 1 November 1908, and died in New York on 2 June 1942 at the age of 33. In his short carreer, he blazed across the musical sky like a comet, reaching heights that no other white trumpeter of those times had been able to reach, before sputtering out into sad and sorry alcoholism. "Trumpet player Bunny Berigan (1908-1942) is without a doubt one of the best white jazz trumpet players with his own style, but with Louis Armstrong as a great example." "The crossroads of jazz and light music, at the very beginning of the swing era."